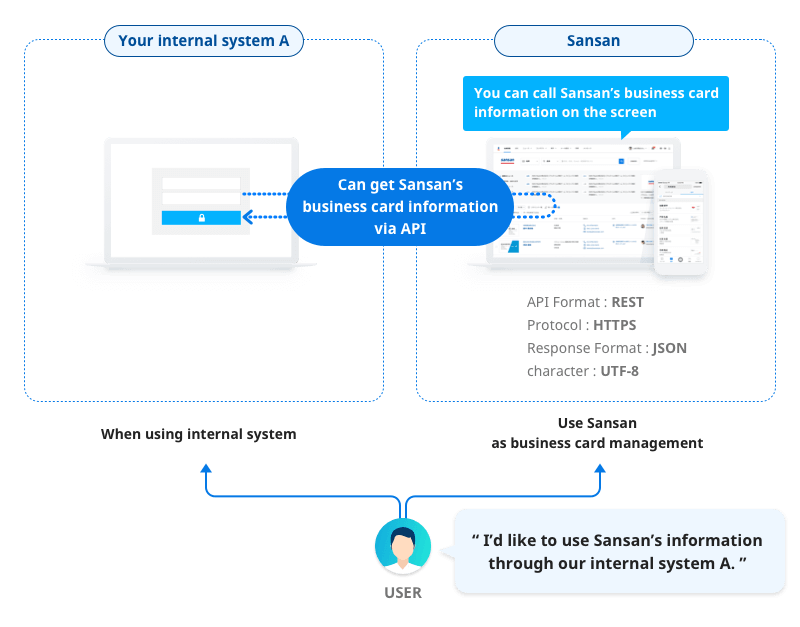 By using APIs, the business card information from Sansan can be accessed from outside services.You can make effective use of the business cards that are registered. ※ We recommend to have a dedicated Sansan account using only for API when you use API. 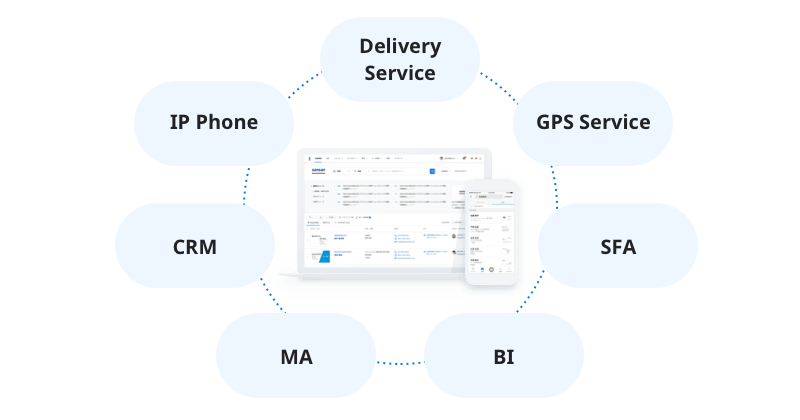 By using other integrated service, you can utilize Sansan information more effectively without any development. Currently, we have integrated with other services below.